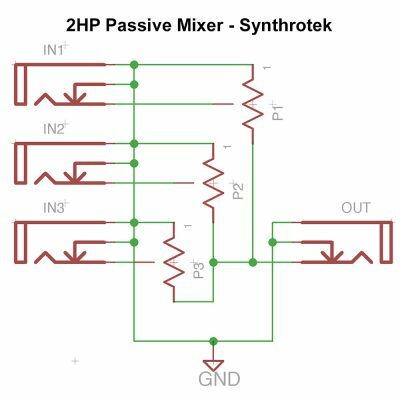 Thank you for purchasing the Synthrotek Passive MIX kit! This is pretty easy build, great for first-time DIYers. Place all of your 3.5mm jacks in the PCB as shown below. Place them on the the side of the board that has the white silk screen boxes. You can use the panel to align the jacks then turn over and solder in place. 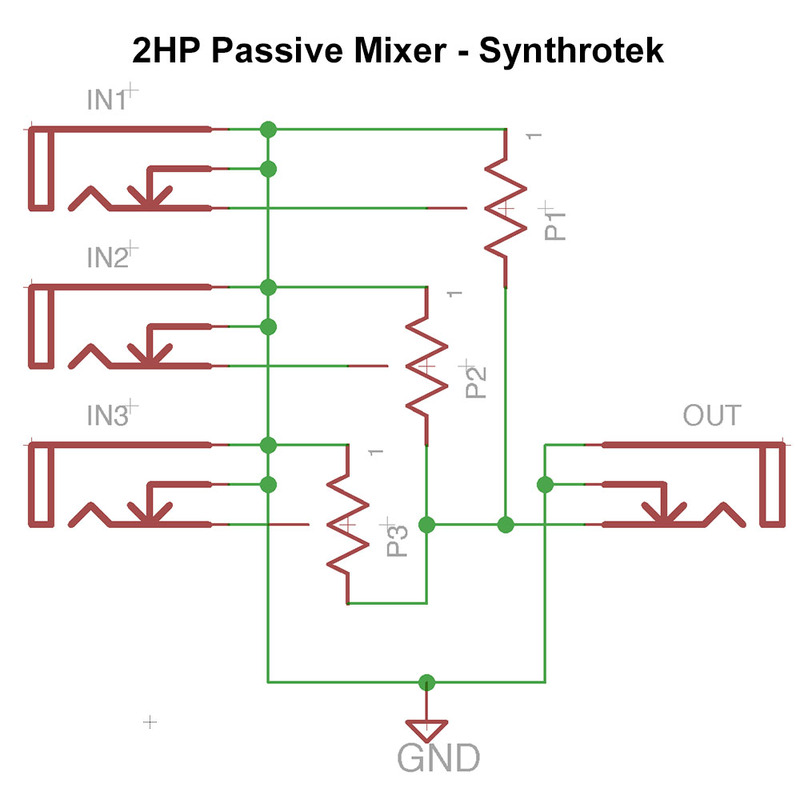 Now place the pots onto the PCB as shown below. Then take the panel and place it over the pots and the jacks. Carefully add the jack nuts. Tighten down the black hex 2.5mm screw through the panel into the standoff. Now squeeze the pot clamps onto the PCB then solder ONLY the pot clamps onto the PCB. DO NOT SOLDER THE PINS YET. Align the pots now by hand so that they are vertical and centered. Solder pot leads into place once the lots are aligned, then solder the jacks. Make sure you tighten the nuts on the jacks and you are then good to start mixing!